Anyone with access to a computer these days probably knows what TEDx is. Starting out in leafy California in 1984, the original TED Conference was a one-off event with talks focusing on technology, entertainment and design. Fast forward a few decades and TEDx is in play. The independent TED-like events which can be organised by anyone who obtains a free license from TED, are a series of global conferences where wildly diverse speakers are invited to stand, inspire and enlighten. 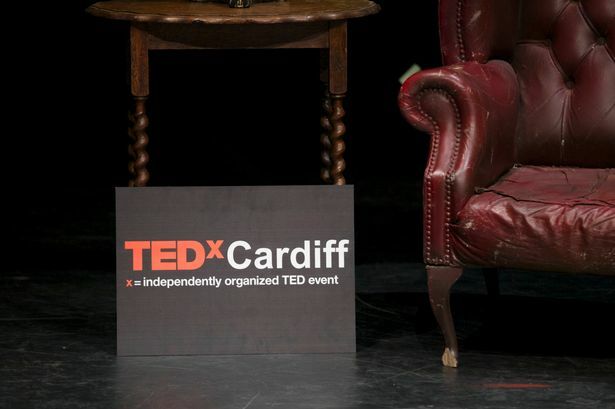 Cardiff’s 2012 event was stunning, and the 2014 day didn’t falter, with amazing ideas and inspirational thinking come from the likes of explorer and scientist Niall McCann and journalist-turned-baker-turned-One Mile Bakery entrepreneur Elisabeth Mahony. The idea for our magazine piece was to give a number of different views on the event – people who have spoken at TEDx events previously, the organiser, and even a first-person reaction to the 2012 talks from an enthusiastic attendee: me. “Don’t meet your heroes, they’ll only disappoint,” they say. How many of us, given the opportunity, would say no to an actual conversation with a person who inspired them? I interviewed the BBC world affairs editor John Simpson many years ago and it was one of the most nerve-wrecking and fulfilling moments of my career. I was frightened and babbled, and he was charming and pretended not to notice, thanking me profusely for my time before speeding off the catch a plane to Baghdad (this is entirely true). 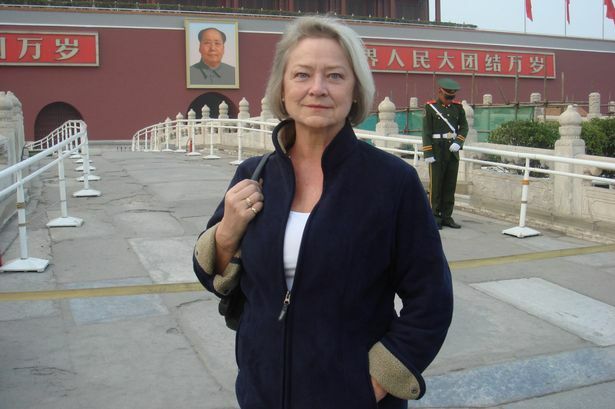 When it came to speaking to Kate Adie, I could barely stop shaking long enough to dial her number on the office phone. An incredible intelligence and fiercely inquiring reporting style meant that she was second to none throughout her BBC career, reporting from outposts including Tripoli, Tiananmen Square during the protests, the Gulf during the 1990s war, Rwanda and Sierra Leone. As a child watching the BBC News, she was the gravity and realism of war in our front room, and I was smitten when I realised a woman was just as capable as a man – in this case, Adie matched Simpson in my small mind. The interview I conducted was in support of her book Fighting on the Home Front: The Legacy of Women in World War One, as she was appearing at Monmouth Women’s Festival which was scheduled to coincide with International Women’s Day. Her research was impeccable, her writing engaging and her interview manner – positively terrifying. I quickly realised that she wasn’t going to accept any ‘umms’ and ‘aaahs’, and made sure I had a raft of interesting questions ready for her to answer. Coming off the phone, I only hoped I had made a good impression, because I certainly won’t forget the red letter day I spoke to one of my heroes. Farmers are more known for working the fields than surfing the web, but Gareth Wyn Jones is one North Wales farmer who is bucking the trend. I first encountered Gareth on Twitter where he was often to be found making comments on everything from the price of food to the treatment of rural services in Wales. 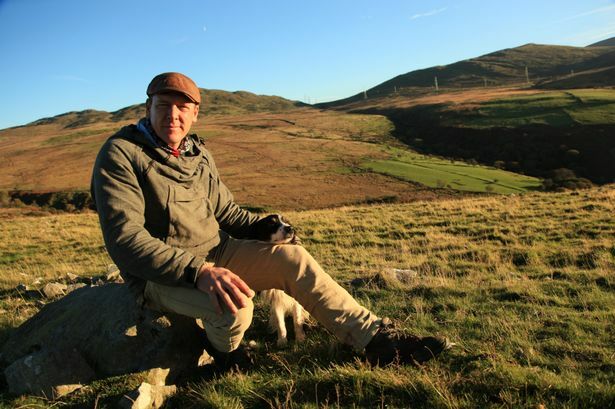 Draw that up into a neat bundle with his appreciation for his stunning surroundings on the Carneddau Mountains and he was one of the most vocal farmers in the UK. As I spotted him, so did BBC Wales, and when they showed his programme The Hill Farm, it was a terrific chance to see the man behind the social media persona. Starting the four-part series with winter scenes which saw Gareth dragging countless sheep carcasses from snow drifts that topped the height of a full-grown man, it was an emotional and intimate portrayal of the life and work of a man and his family. A massive part of the strife which meets modern farmers seems to be competitively representing themselves in the market they’re in. Gareth tells a story of going to a large supermarket with his daughter one day after the harsh winter on the mountain. “I came to one shelf with a few pieces of Welsh lamb. Stacked high next to it were three or four shelves of New Zealand lamb at half the price. “You imagine how I felt at seeing that, after saving as many of those lambs as I could during the snow. It seems that we’re all lucky Gareth counts his smartphone alongside his quad bike as an essential tool for the modern farmer.